The benefits package offered by your business is extremely important to your employees. How important? A survey performed by the Society of Human Resource Management (SHRM) found that benefits are directly tied to overall job satisfaction for 92 percent of employees. Even more importantly, 29 percent of employees cited the overall benefits package at their current employer as the top reason to look for new employment in the next 12 months. Health benefits. According to SHRM, health insurance still remains one of the most important employee benefits. Health insurance benefits come in all shapes and sizes, so you will need to constantly evaluate plans and costs. From a tax standpoint, employers can deduct this expense, and your employees do not report health insurance premiums or employer contributions to health savings accounts (HSAs) as additional income. This includes premiums paid for the employee and qualified family members. Even better, the employee portion of premiums can still be paid in pre-tax dollars. Dependent care benefits. Employers are able to provide employees with up to $5,000 per year in tax-free dependent care assistance under a qualified plan. There are a few ways to provide this benefit, but a common method is to set up a flexible spending account (FSA) that both the employer and employee can use to make contributions. The employer portion is tax-free and the employee portion reduces taxable income as long as the total benefit is $5,000 or less. Employee tuition reimbursement. By offering tuition reimbursement, you can add another quality benefit to your package while investing in your employee's career. 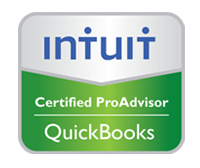 Up to $5,250 of tuition expenses can be reimbursed tax-free to your employee each year. Credit card points. This is a good benefit for outside sales and employees that travel frequently. If you have a corporate credit card program, consider passing the points on to the employee. If you reimburse employee expenses under an accountable plan, estimate the value of points your employee earns on reimbursed business purchases and include it in your annual benefits presentation. Generally the IRS considers credit card points as rebates and not taxable income. Group term life insurance. You can generally exclude the cost of up to $50,000 of group term life insurance from your employee’s wages. Other fringe benefits. Some examples of other nontaxable fringe benefits are employee wellness programs, onsite fitness gyms, adoption assistance, retirement planning services and employee discounts. Small gifts. The IRS calls these “de minimis” benefits. Small-valued benefits are not included in income and can include things like the use of the company copy machine, occasional meals, small gifts and tickets to a sporting event. With historically low unemployment levels, employees have more options than normal to look around if they aren’t satisfied. Your business’s benefits package is an important tool to help you keep your valued employees. While each is an additional expense to the employer, the perceived benefit by employees may far outweigh these costs. • Thank you for your payment! • Can your business survive these seven potential disasters? • Will you be ready for the new overtime pay rules? • Office expense or asset or is it non-posting? • What qualifies as a capital asset? • Is it an office equipment (expense) or asset? • Just where did that transaction go? • Vendor statement balances off? 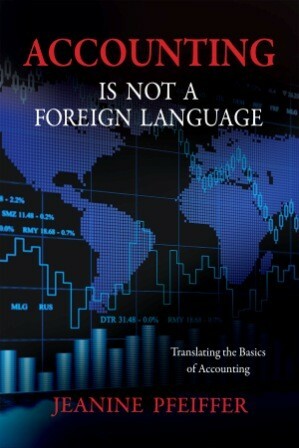 • Does accounting seem like a foreign language to you? • Debit or a credit? • What are other deductions? • How does your business compare to others? • Payroll in house or outside service?